A high-stakes adventure of love, loss, masculinity and morality, the glorious new novel from award-winning author Tyler Keevil introduces two unlikely outlaws. 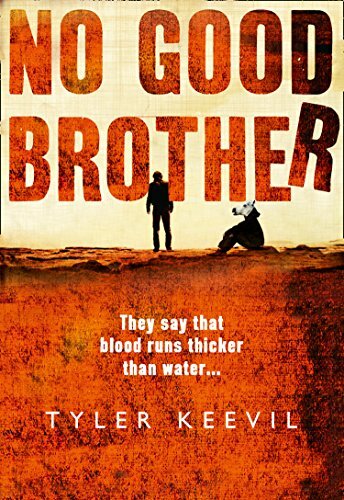 No Good Brother by Tyler Keevil is the story of Tim (AKA Poncho) and Jake (AKA Lefty) his “no good brother”. Tim has spent the season on a fishing boat in Canada. Jake, ex con, turns up at the shipyard in Vancouver to see his big brother. He doesn’t really need help from Tim for anything dishonest honest… The story follows their activities and looks back at their family life. I found this easy reading which made this very easy to get into. The characters had a rich feel almost immediately. The relationship/dialogue between the two brothers – Tim and Jake – felt right. They chat, they laugh, they reminisce and they fight. Their individual stories also bring in their mother and their sister. I grew to like Tim quickly – his brother, though likeable in some ways is another matter! The humour when it comes can actually feel quite awkward because Tim, partly through his own fault, goes through some difficulties without giving anything away. The boys don’t do much wrong but sometimes things just don’t work out. I was often irresistibly reminded of the phrase “what could possibly go wrong”. We all know the answer to that one! For me this was well written – I quickly found myself completely engaged with the brothers’ stories as well as those of the rest of their family, their mother and their sister. There is humour here – dark at times – couple with a lightness of touch to the writing. It is one of those simple stories well told. While I never wanted to stop reading I guess it felt a little long though for the life of me I’ve no idea what I would leave out. A solid 4 star read to me and I’ve certainly read something else by this author.